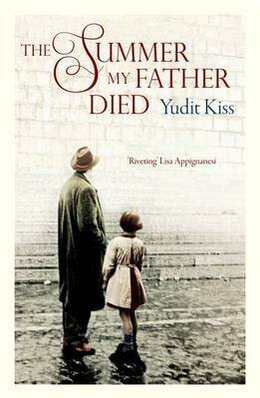 In this beautifully written memoir translated by George Szirtes, Yudit Kiss attempts to understand her father's complex personal history while he suffers with the brain tumour that would eventually take his life. Born in Hungary to a Jewish family, her father's young life was plagued by misfortune. Having narrowly escaped being shipped off to one of the Nazi death camps, Fűlöp Holló defied his Jewish heritage, turning instead to communism. His belief in the possibility for human progress drove his commitment to this ideology for his entire life, a fact that puzzles his daughter. The book is not merely a biography of the author's father, however. It also chronicles Kiss' own discoveries; her Jewish roots, the family lost during the Holocaust, and her disillusionment with the realities of communism in twentieth century Europe. It reads as something of a retort to her father's unyielding faith in a political system which was abused by those in power. As well as being a highly personal account of a fascinating historical period, The Summer My Father Died is a tender elegy to the father she loved. It is about coming to terms with the loss of a parent, reconciling differences in view, and understanding where you come from.